Another sunny day, another summery outfit post! 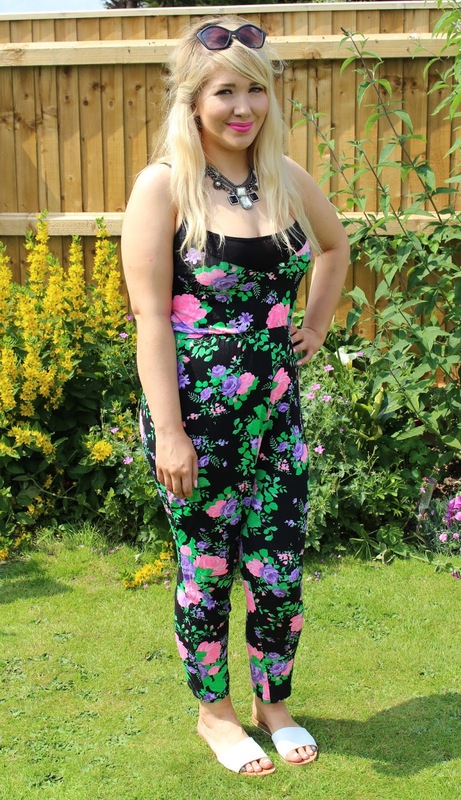 I was sent this jumpsuit a few weeks ago from Diva Dames and I still can't get over how cheap it is - only £7.50 and it's surprisingly great quality. I prefer wearing jumpsuits at the minute as they're great if you can't be bothered to tan/shave your legs yet are still really light and airy. Plus they're great for just chilling out and 'jumping' around in (get it? ha) They're perfect for exploring, going to theme parks or going on bike rides in, the only thing that's annoying about theme is when you have to go to the toilet and get completely naked! Are you a fan of jumpsuits in the warmer weather? What do you think of my new addition from Diva Dames?